Improving the lives of trans young people! Being a trans young person in our society can be hard. Struggling to find supportive communities, having to explain your gender over and over, hearing people dismiss your identity, and dealing with employment and housing discrimination can all take their tole. That's where we come in! Ygender is a support and advocacy organisation for trans and gender diverse young people. 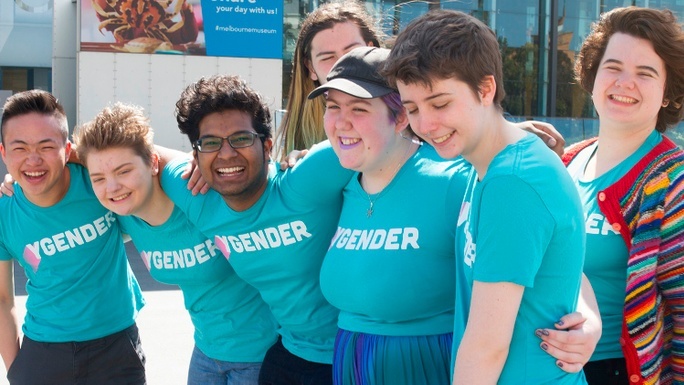 We're entirely run by trans youth who volunteer their time and expertise to support their peers, advocate for their community, and fight transphobia. We're entirely volunteer run, with no core funding. That means we're free to make our own decisions and be led entirely by our community, but we need your help to keep going. Your donation will insure that we can keep delivering services to trans young people by trans young people on our own terms.